December Community Roundup – Zombies, Run! It’s December! Which means it’s time to don your cheesiest christmas jumper, make yourself a nice hot cup of cocoa and settle in for the final Zombies, Run! Community roundup of 2014. In fact, hold fire on that cocoa for just a second there. I think I’ve got something you might like more. 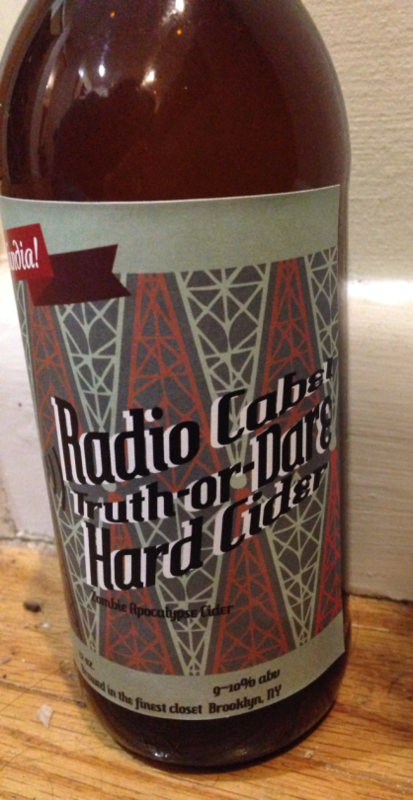 WTFRJK has only gone and made some of Phil Cheeseman’s “Truth Or Dare” Cider (better known as “Captain Phil’s Ol’ Lumberjack Blinder”, “Tuesday Night Mayhem” and “Dear god, what have I done to deserve this, why is Jack wearing Zoe’s boots on his arms again?!”). I think this stuff looks absolutely amazing and I’m frankly gutted by the fact that I’ll never get to taste it. My spider-sense is tingling so I think it’s really important to mention that alcoholic beverages should be enjoyed responsibly and only when it is legal for you to do so at your current age in your current location. Stay safe out there, everybody. Cider is tasty, but safety is tastier. OK, now that we all have something delicious to enjoy, how about some lovely wintery listening? And what better for that than the latest episode of the Zombies, Run! fandom’s very own unofficial podcast, Podcast Detected? This time Devin and Lindley are discussing all their favourite fanworks – something we have in common today! That’s the scene setting done. Now let’s get on with the fun. Here’s a round-up of our favourite fanworks / blog posts / comments / miscellaneous material from around the Zombies, Run! fandom this month. OK you guys just look at this. Look at it! Look at this and then go away and think about what you, collectively, have done as a fandom. Just look at his face. Thaumivore, you are a danger to society and my heart. I always love it when we get to see art of characters that aren’t drawn so often, and this bonkers amazing pairing of Zoe and Louise is pretty much the bestworst thing. I can’t decide if I love the tattoos, the headgear or the Van-Ark-May-Care attitude on their faces more. The Wondersmith is, as always, a goddamn heartbreaker. From face-squishingly-great character portraits to “changing my desktop wallpaper right now holy poops take a look at this”: Decrescendo has made some truly stunning Runner Five themed designs this month. We’re all huge fans of these in the office. Amazing work. 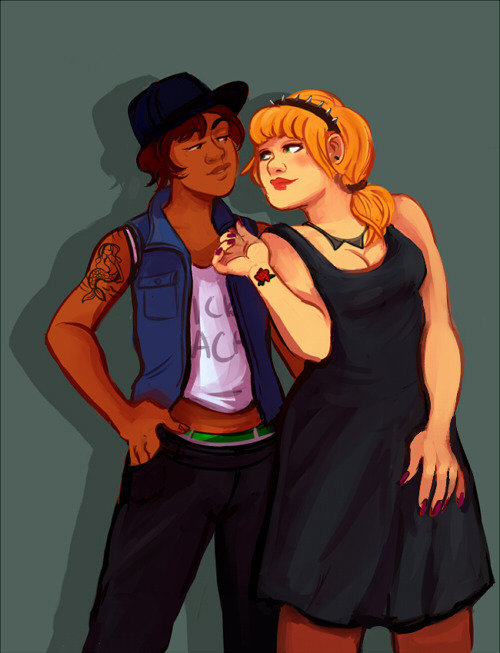 Right so this isn’t strictly fanart but shut up just shut up ok because it’s awesome. Mousecarter42 stuck her Zombies, Run! 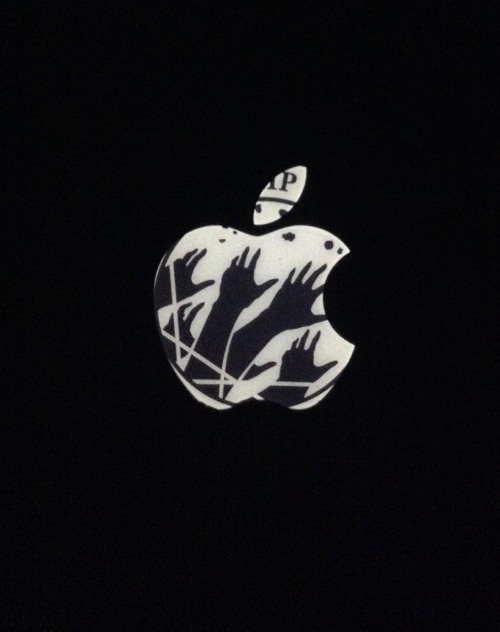 sticker on the back of her mac and it makes an amazing silhouette in the dark. That is all. Just. Awesome. There’s obviously far too much amazing fan art out there to call attention to every piece, but I couldn’t leave this month’s community roundup without mentioning Ask Abel Runner Five. They’re currently on their tenth day straight of posting adorable comics based on prompts from the fandom. 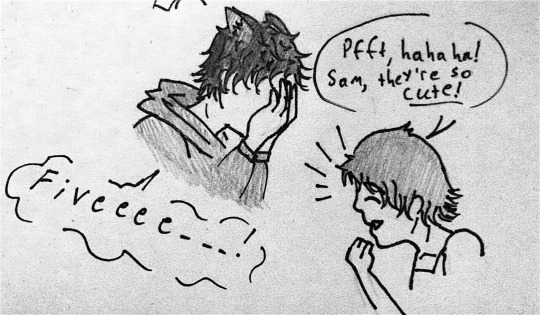 If you haven’t seen it yet, I have only four words for you: Sam In Animal Ears. 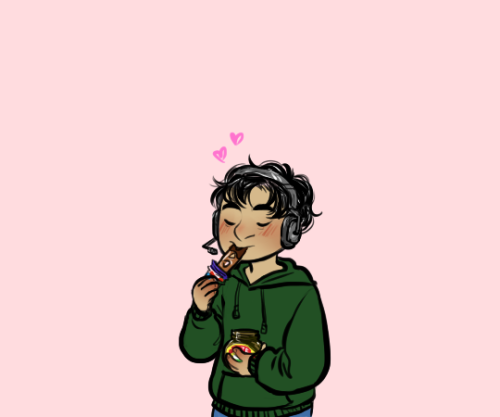 As always, there’s been a tonne of great fics this month, but I wanted to draw attention to Cocytus by Sam Yaoza and Sports Bras, which is a moving piece on grief and love, and Empty by Tumblyorro, which does a fantastic job of getting inside Janine’s head towards the end of Season Two. Great work from both. One of the best things about watching the ZR fandom grow over the past three years has been seeing the beginning of some truly wonderful community initiatives. This month we have Don’t Die December, in which members of the fandom commit to their fitness goals for December. It’s great to see the community coming together to encourage each other. 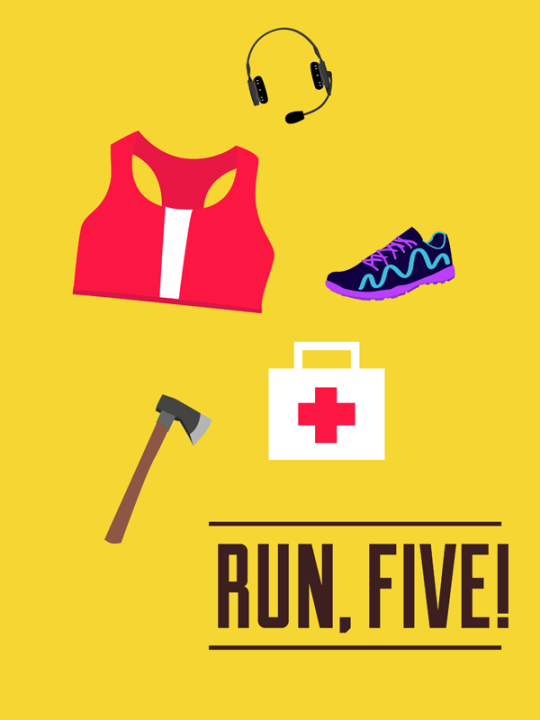 Keep it up, Runners Five! We’ve also got Zombies, Run! Secret Santa, in which members of the fandom swap art, stories and other works as christmas presents. It’s too late to sign up now, I’m afraid, but I can’t wait to see all the great stuff you guys turn out! Thanks to all of our amazing fans, and everyone out there running to keep Abel Township safe. You guys rock. Happy holidays! Previous Post Step Buy Step Out Now on iPhone! Next Post 7 Minute Motion Tracking Workout Now Available!